PUM Netherlands Representative in Sri Lanka S.P.C. Kumarasinghe received a special award from PUM Netherlands Senior Experts for 25 years of service excellence and dedication in assisting over 600 SMEs in Sri Lanka. PUM Netherlands Senior Experts is a non-profit organisation funds provided by the Netherlands Ministry of Foreign Affairs and the Confederation of the Netherlands Industry and Employers (Known as VNO-NCW). PUM provides its services to over 70 countries around the world. This is the first time this award has been offered as it is the first time that a local representative has worked continuously for PUM for such long period of time. During the past 25 years Kumarasinghe has assisted over 600 industries in Sri Lanka by bringing in volunteer Dutch experts to Sri Lanka through PUM. In addition to this over 200 key personnel from local industries including government organisations were sent to the Netherlands for further training and business links. The service is free and the local organisation availing of the expert’s advice only pays for the local costs incurred by the expert such as food and lodging etc. International travelling cost and insurance is paid by PUM. Kumarasinghe is also the current president of the Netherlands Alumni Association of Lanka, a post he has held for the past 16 years. 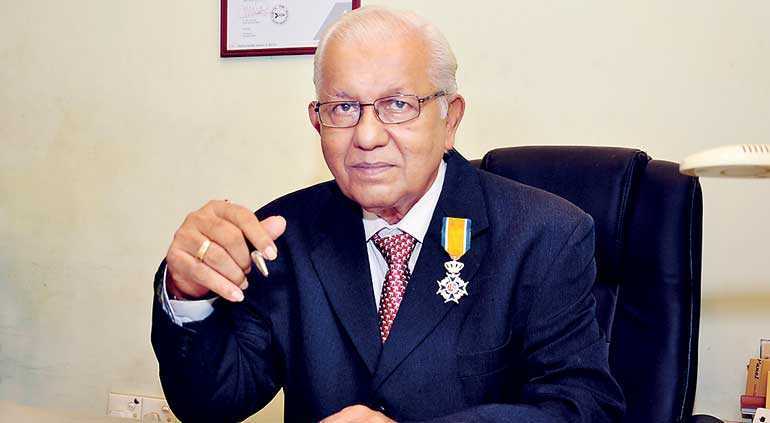 In 2004 Kumarasinghe was decorated with a Knight Hood by the Queen of the Netherlands for promoting relations between Sri Lanka and the Netherlands. PUM Head office in The Hague has a data bank of 2,500 registered volunteer experts covering the enterprises in agriculture, industry, health and environment and service sectors. For more information you may visit PUM website www.pum.nl. He hopes to assist many more industries in Sri Lanka. This would no doubt contribute to the export targets set by the Government of Sri Lanka.